I’ve never been a DIY girl. I leave that to the pros on Etsy or my talented friends and family. Although, with all my recent downtime I decided to get crafty with stationary (obviously). 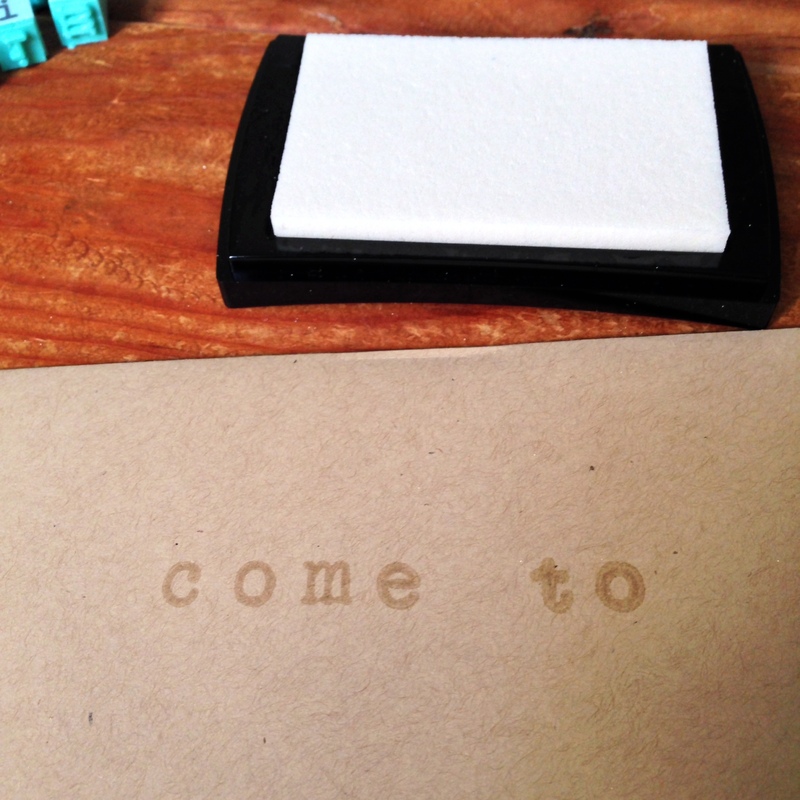 So, I went to Paper Source and got a quick lesson on heat embossing with rubber stamps. 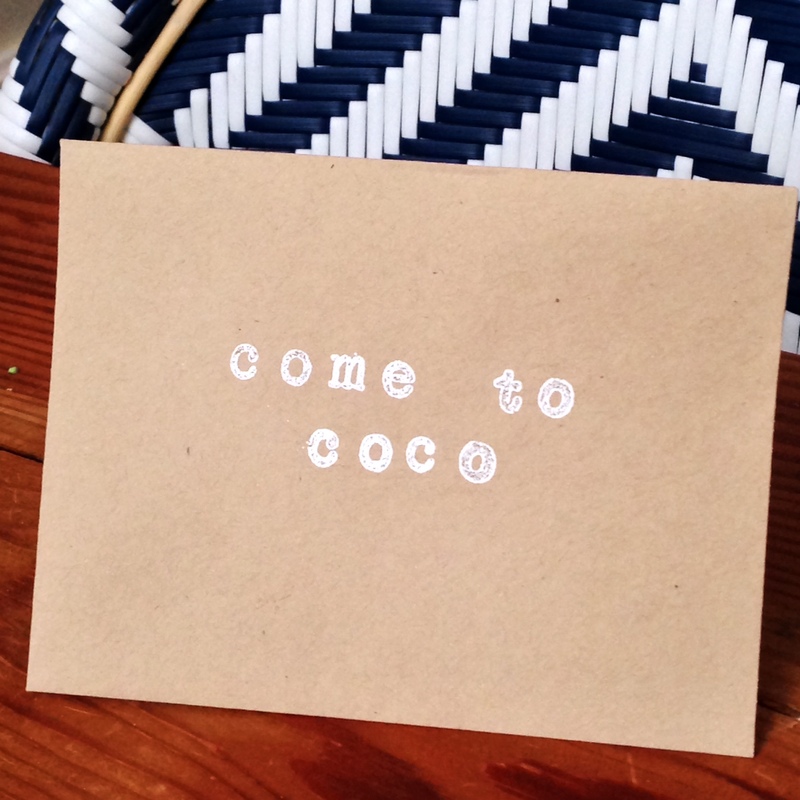 Everyone likes to receive a homemade card every now and again, right? 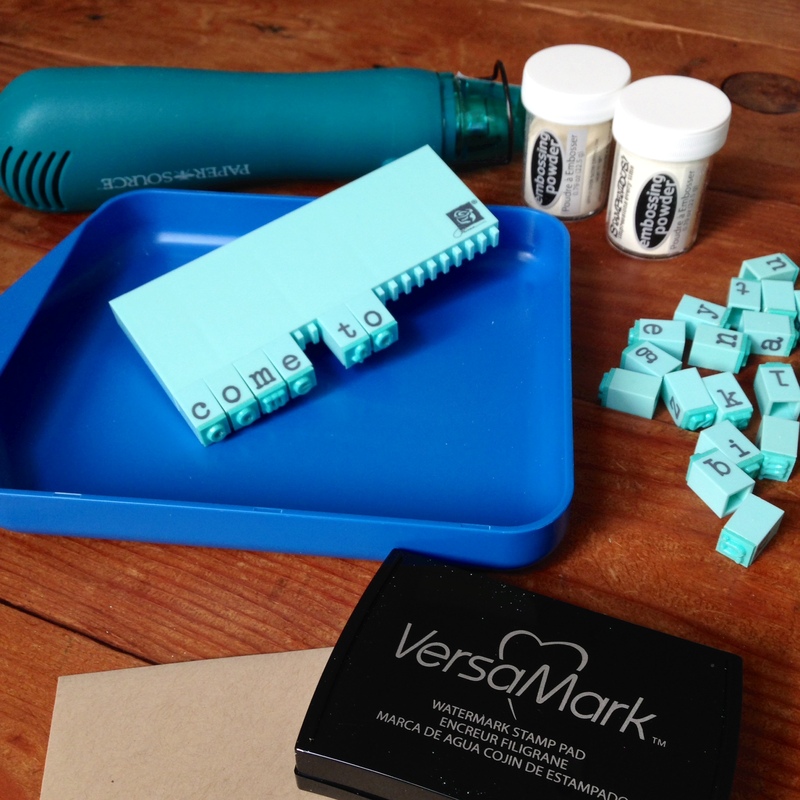 What you’ll need: Embossing Heat Tool, Embossing Powder (comes in a variety of colors), Funnel Tray, Watermark Stamp Pad, Alphabet Rubber Stamps, and a Prima Press Stamp Holder. 1. 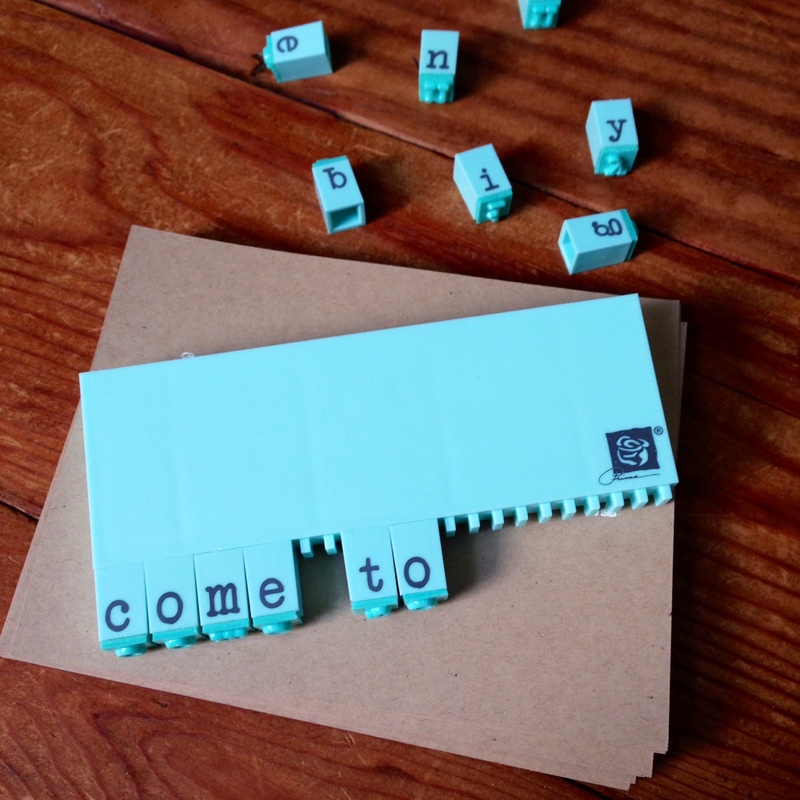 Arrange your alphabet stamps on the stamp press (here you can use any old stamp if you’d rather work with a design). 2. 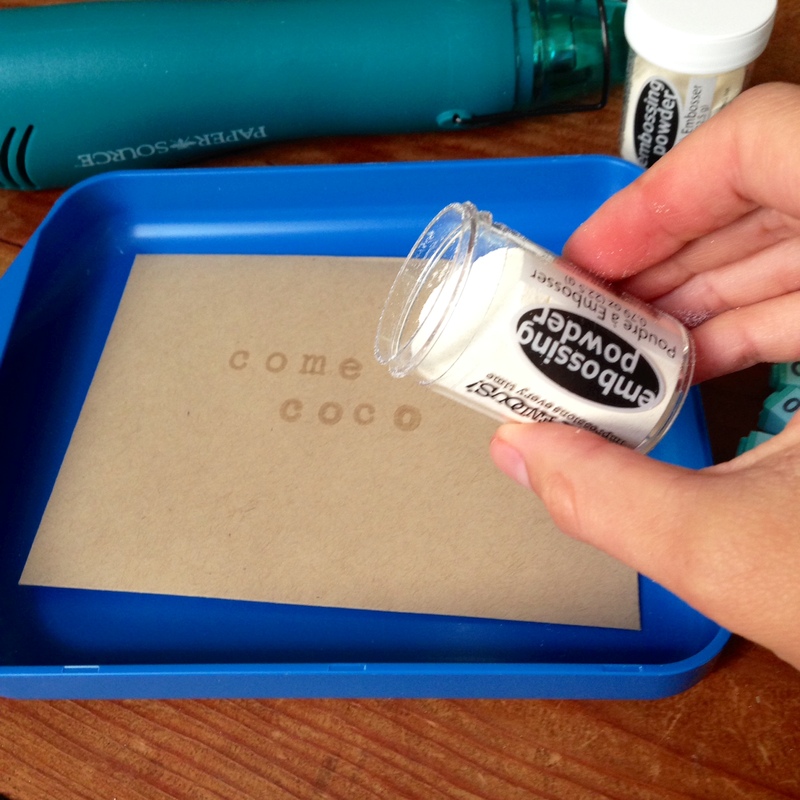 Ink your rubber stamps using the clear stamp pad (really get in there). 3. 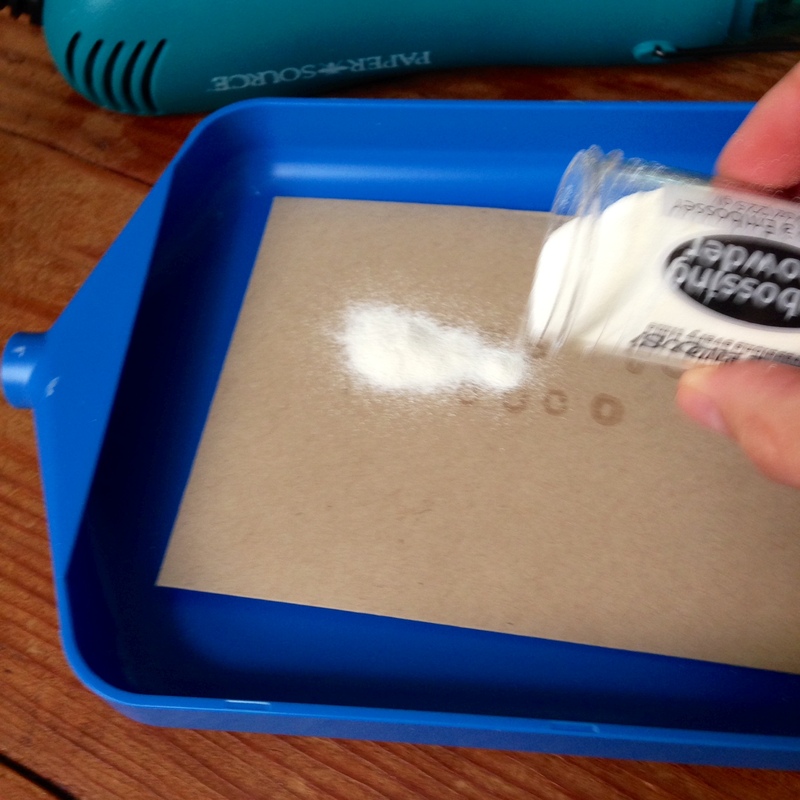 Place your paper or envelope in the funnel tray and sprinkle the embossing powder over the wet ink. 4. 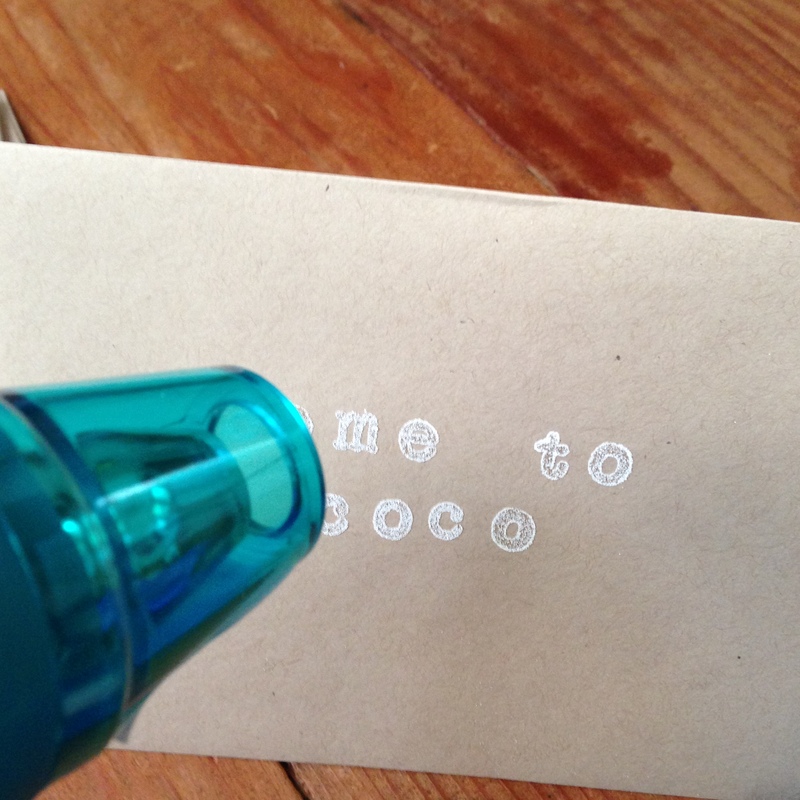 Shake off any excess embossing powder (it helps to flick the stationary or envelope). 5. 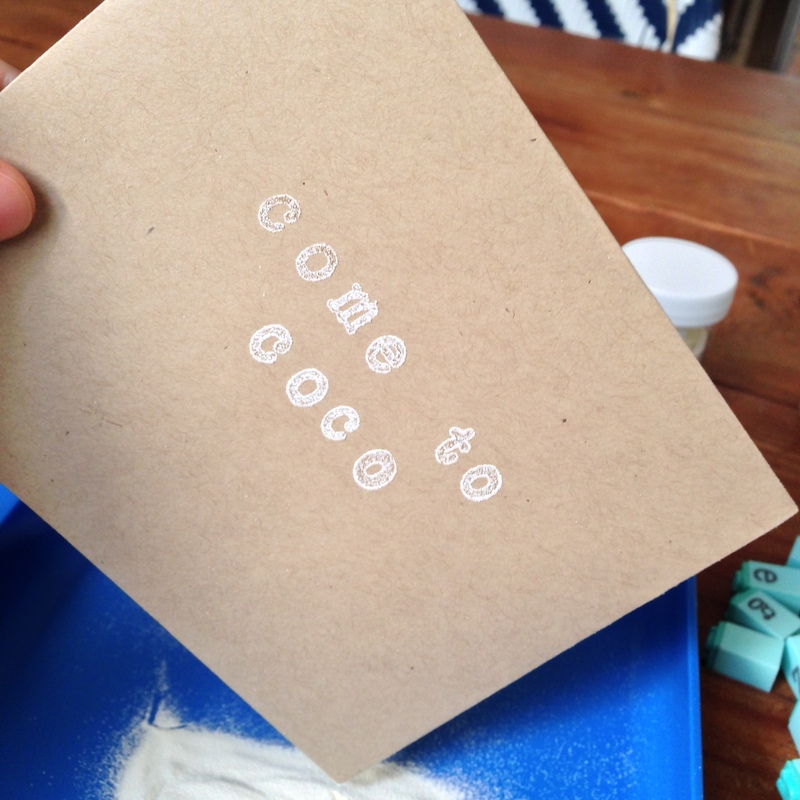 Using the heat embossing tool, move slowly across your stamp design melting the embossing powder. Caution: the heat embossing tool gets REALLY hot. 6. And voila! A raised, glossy stamp impression…just like the pros. Kinda. « It’s Football Season – Let’s Grill Some Wings! !